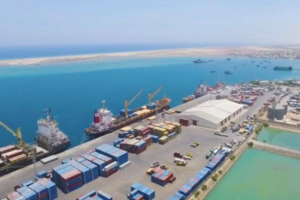 DP World invests half billion dollars in expansion of the Somaliland’s port of Berbera, which recently took on 30-year concession. The Dubai-based port operator will spend 442 million USD for building of a 400 m quay, extension to the port’s storage area by 250,000 sq m, as well as buying of a modern gantry cranes and reach stackers. The construction of the quay extension is expected to start 12 months after the satisfaction of the terms and conditions of the agreement and will take 24 months to complete. The total investment of up to 442 million USD will be phased over time and be dependent on port volumes, and will create a regional trading hub along with the scope for a free zone. The project will focus on containers with the capability to handle other types of cargo and will be implemented with the government of Somaliland. “We are delighted to extend our African footprint with a major investment in Somaliland. Investment in this natural deep-water port will attract more shipping lines to East Africa and its modernisation will act as a catalyst for the growth of the country and the region’s economy”, said the CEO of DP World, Sultan Ahmed bin Sulayem. “This is part of our vision to act as an enabler of trade and to facilitate growth by helping African countries develop their infrastructure that connects them to global markets”, added he. In September 2016, DP World has won a 30-year concession with an automatic 10-year extension for the management and development of a multi-purpose port project at Berbera in Republic of Somaliland. The Port of Berbera opens a new point of access to the Red Sea and will complement DP World’s existing port at Djibouti in the Horn of Africa. Somaliland’s economy, 60% of which is made up of livestock exports, should receive a boost from increased transit fees and the new free-trade zone. However, the main function of the port is to provide another connection between Ethiopia and global markets, and a transshipment hub where large container ships can offload their freight to feeder ships able to negotiate the Horn of Africa’s shallow ports. DP World will pay Somaliland will pay 5 million USD per year, as well as 10% of all port revenue. DP World operates multiple related businesses – from marine and inland terminals, maritime services, logistics and ancillary services to technology-driven trade solutions.